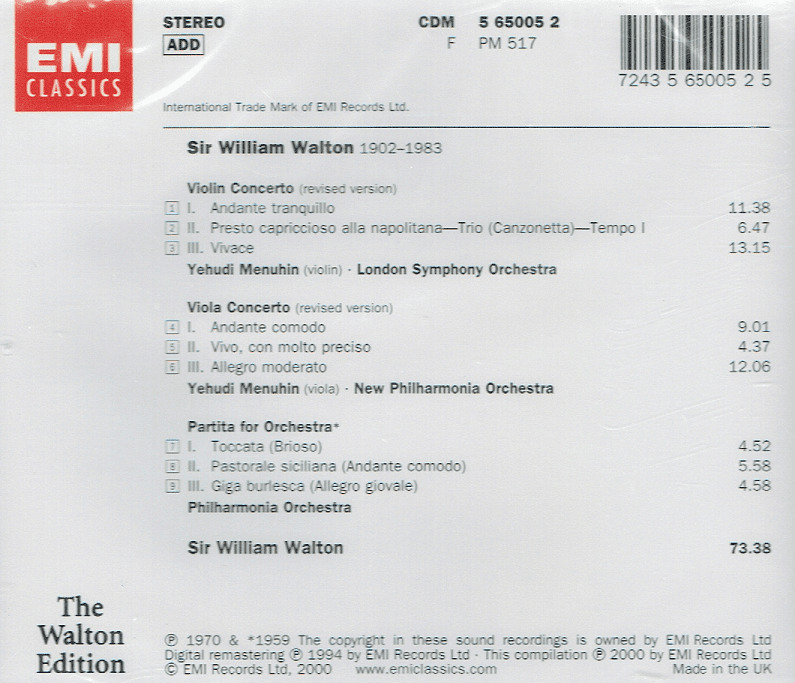 "Like Elgar before him, Walton was among his own finest interpreters on disc. He may have jokingly told the players that he was an amateur, but he belied that in the confident way (left hand firmly in pocket) he could steer them through the most intricate changes of bar length and rhythmic pattern....The Violin and Viola Concertos were not works associated with Menuhin before he made these recordings, but he was challenged here to give characteristically sweet and lyrical accounts, magnetic in the poignantly meditative moments, with ever-fluent rubato. 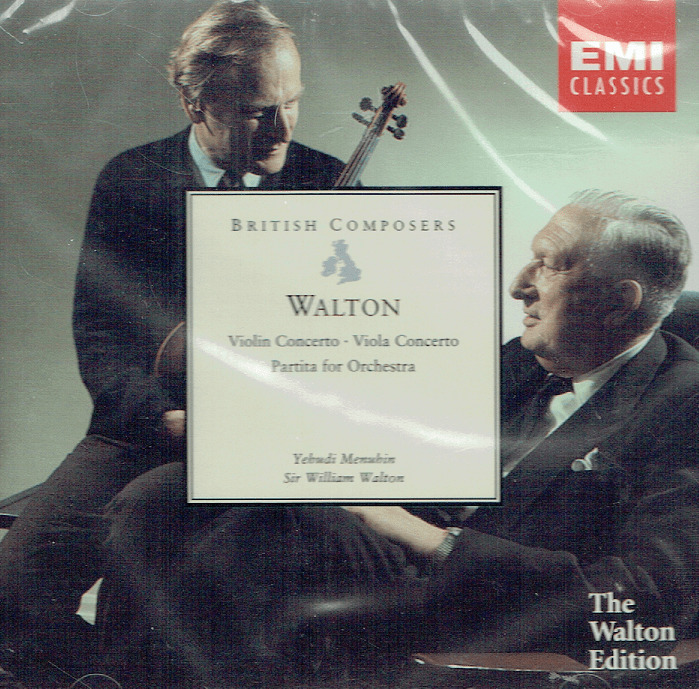 This account of the Viola Concerto was the first disc to adopt the spacious approach which has tended to predominate ever since... Walton’s well-pointed accompaniments are models of understanding. 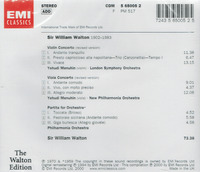 The Partita, full of fun and only a little less fiery than Szell’s classic reading, makes up a generously filled disc."